Backed by a diligent team of professionals, we are providing reliable Operation & Maintenance Service of Wastewater Treatment Plant Maintenance Service. Only after complete assurance from our customers the recommended plans are implemented, where in we undertake daily operation and maintenance contracts of the treatment system. These contracts are provided for enhancing the technical performance conformity and cost-effective operation of the system. Further, while undertaking operation & maintenance of the system, we make a detailed system evaluation. Also, we create customized ‘control checklists and process-control formats’. This provides a crystal-clear status of the plant to the users. Our experienced & trained operators provide operational training that ensures gradual improvement in plant performance. 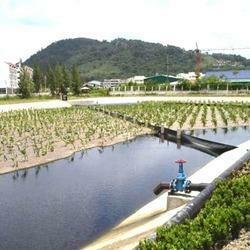 Looking for Wastewater Treatment Plant Maintenance Service ?